Nachala movement sets up tent near Prime Minister's Residence in Jerusalem. 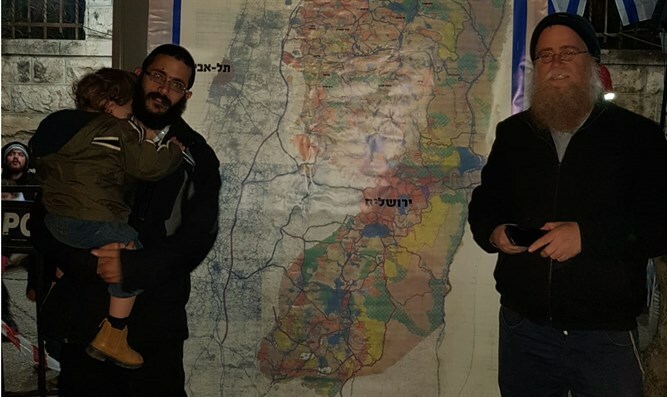 "Returning to the Shamir plan"
The Nahalah settlement movement on Sunday evening set up a tent near the Prime Minister's Residence in Jerusalem, which will remain in place until the government is formed after the elections to the 21st Knesset. The purpose of the encampment is to encourage Prime Minister Binyamin Netanyahu to commit to extensive construction in all areas of Judea and Samaria. "Many supporters came, dozens of lovers of the Land of Israel who want to talk about the values ​​of the whole Land of Israel," says Zvi Elimelech Sharbaf, a member of the Nachala movement. "I call upon all the parties to put on their platform the statement that the Land of Israel belongs only to the Jewish people, and to adopt the Shamir plan that will encourage the settlement of two million Jews throughout Judea and Samaria." "Now that the people of Israel and its elected officials are in an atmosphere of elections, it is vital to raise the vision of the Land of Israel to the top of the national agenda and demand that the vision be the top priority of the government that will be elected,” it added.